Welcome to our Autism Guide. Use the headings below to reveal the sections of the Guide, or scroll down for latest ACAMH events, blogs, journal articles, videos and podcasts related to Autism Spectrum Disorder. Autism Spectrum Disorder (ASD) is a complex developmental disorder that affects how people perceive the world and interact with others. People on the autism spectrum may have difficulties with social communication, social interaction and restricted and repetitive patterns of behaviours, activities or interests. ASD often co-exists with other mental health, behaviour, emotional and sensory problems, which can make getting the right support more challenging. 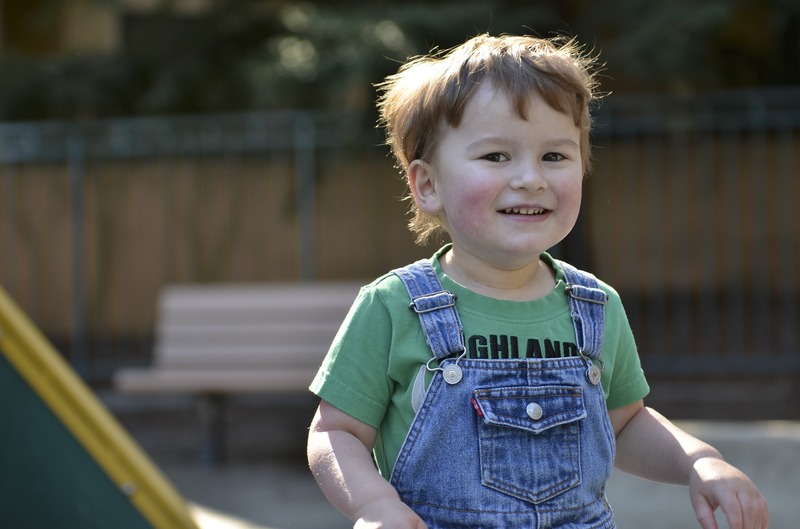 ASD often runs in families and there are strong genetic influences in the development of ASD. Environmental factors, such as low birth weight, viral infection and lack of oxygen during birth may also play a part. Treatment for ASD focuses on managing behaviour, supporting understanding, communication and expression and on empowering parents to confidently support their child. Medication can play a role if children are more severely affected by core behaviours and co-existing mental health problems. Autism Spectrum Disorder (ASD) is a complex, life-long, neurodevelopmental disorder that affects how people perceive the world and interact with others. As the name implies, ASD is a spectrum condition, so although every person with ASD will share certain difficulties, these affect them in different ways and to different extents. People with ASD vary considerably in their individual strengths and difficulties (SIGN 2016) and the features of ASD can range from mild to severe and highly disruptive. ASD is associated with all levels of intellectual ability and some children are high functioning. Children and young people on the autism spectrum have difficulties with social communication, social interaction and restricted and repetitive patterns of behaviours, activities or interests. All children and young people with ASD have an impairment in communication, which ranges from lack of speech with profound comprehension problems, to subtle language difficulties, such as failure to understand sarcasm or use of metaphor. Receptive and expressive language skills are generally equally impaired (Kwok 2015). Sensory processing difficulties may also be a feature of ASD for many children (APA 2013), and can have an impact on social functioning (Thye 2017). As well as the core symptoms of ASD, most children and young people also have coexisting conditions such as epilepsy, anxiety, sleep problems and emotional and behavioural problems, which can make getting the right support more challenging (Maskey 2013). insecure attachment to their caregiver (Rutgers 2004). Repetitive rigid or stereotyped interests and behaviours- children may need things to be done in a certain way with rigid rituals; they may need predictable routines and become upset if these change. The prevalence of ASD in children and young people is around one percent, and it’s more commonly recognised in boys than girls, at a ratio of about four to one (SIGN, 2016). There is increasing evidence of under-diagnosis among girls with ASD, which may be explained by what some call “social camouflaging”. Girls with ASD are generally more able than boys with ASD in camouflaging their social difficulties. ASD can be reliably diagnosed as early as 24 months, however many individuals aren’t diagnosed until late adolescence or even until adulthood. Evidence of symptoms in the early developmental period is required for a ASD diagnosis. Recent and upcoming changes to the main diagnostic manuals (DSM and ICD) has seen ASD become a single diagnostic term that has replaced the previously separate “Asperger’s syndrome”, “high-functioning autism” and “pervasive developmental disorder not-otherwise-specified (PDD-NOS)”. However, clinicians, families, charities and individuals with ASD will often use additional terms to help describe the particular ASD profile presented by an individual. The Asperger’s syndrome profile of ASD describes an individual with ASD who has had no significant delay in language or cognitive development, but has social communication difficulties. The Pathological Demand Avoidance (PDA) profile describes an individual with ASD who are driven to excessively avoid demands and expectations. PDA is rooted in anxiety and the need for control, where children are driven to avoid everyday demands and expectations to an extreme extent. Autism spectrum disorder (ASD) often runs in families and there are strong genetic influences in the development of ASD. If a child has ASD, there is about a ten percent chance that another sibling will have it (Wood 2015). ASD and attention-deficit/hyperactivity disorder (ADHD) share about 50–70% of their genetic factors, which is the most likely reason why they are often found together in a child, or in a family (Steijn 2012). having older parents, being exposed to teratogens during pregnancy (eg, thalidomide, anticonvulsants and organophosphates) and certain viral infections (eg, influenza, cytomegalovirus). It is noteworthy that there is no evidence for a link between childhood vaccination and ASD. If any child or young person has developmental delay, emotional and behavioural problems, psychiatric disorders, impaired mental health or genetic syndromes then an assessment for ASD should routinely be done (SIGN 2016). Girls with ASD may have different symptoms and level of impairment than boys (SIGN 2016). ASD is often misdiagnosed in girls, possibly because the assessment isn’t sensitive or specific enough to pick up the condition in girls and because of social camouflaging (SIGN 2016). The most rigorous approach to diagnosis is an assessment carried out by an experienced and skilled multidisciplinary team (SIGN 2016). As part of this, all children and young people with ASD should have a comprehensive evaluation of their speech and language and communication skills. A wide range of assessments for this are available (SIGN 2016). The current ‘gold-standard’ assessment tools are the Autism Diagnostic Observation Schedule (ADOS) and Autism Diagnostic Interview-Revised (ADI-R). A cognitive or neuropsychological assessment may also be helpful to establish the relative strengths and difficulties of each child (SIGN 2016). Approaches that help parents develop strategies for interacting with their child, and managing their behaviour are an effective early intervention in ASD (Oono 2013). They may help families build relationships, as well as empowering parents to act confidently and improving mental health (SIGN 2016). Interventions to support communicative understanding and expression in children with ASD, such as the Picture Exchange Communication System (PECS) and the use of environmental visual supports may be effective at improving communication and behaviour (SIGN 2016). PECS is a programme devised to develop social and communication skills in children with ASD using picture symbols. There is some evidence that social skills groups can improve social skills for some children and adolescents with ASD, though more research is needed to draw more robust conclusions (Reichow 2012). High-intensity behaviour interventions, based on applied behaviour analysis (ABA), may improve cognitive functioning, language skills, a child’s ability to adapt, including social and daily living skills (SIGN 2016). There is some evidence that music therapy may help children with ASD to improve their skills in social interaction and verbal communication. Music therapy may also help to enhance non-verbal communication skills (Geretsegger 2014). There are no approved medical treatments for core symptoms or comorbid mental-health conditions for adults with ASD. However, the use of the antipsychotics risperidone and aripiprazole for the treatment of irritability in children with ASD has been approved by the US Food and Drug Administration. Children and young people taking aripiprazole may be less irritable and hyperactive, and have fewer repetitive, purposeless actions. However, side effects such as weight gain, sedation, drooling and tremor can impact significantly on their quality of life (Hirsch 2016). Medicines are available for some of the common co-existing health problems such as ADHD, depression and anxiety. However, there is a lack of evidence to support their effectiveness in individuals with ASD. There is also some evidence that individuals with ASD may present with more side-effects to these medications in comparison to the general population.